I’ve booked a flight back to polluted, dusty, thrilling Beijing. I’m pretty much broke and owed a significant amount of money by freelance clients. It will be a struggle to survive. I have two options: either freelance or get a job with a TV network who’ve expressed interest. Most would plump for the latter and I wouldn’t blame you. It’s a small, independent English-language TV network. But I hear that further up the ladder it’s owned by Chinese managers connected to the government. It’s of questionable integrity. It would still be a good experience and I’d like to brush up on my broadcasting skills. And the money and security would be nice. But the allure of freelancing is powerful for me. It means freedom, independence and the luster of impressive bylines. The demand, like I’ve said in a previous post, is high for China-related articles. Also I’m heading back to start a crystal meth lab. Only kidding. Probably. I’m also looking to improve my Chinese. There’s been news about falling rates of study for languages. Businesses are increasingly looking for language skills as trade becomes more globular. If you have a language, it opens doors. If you live in China, or looking to go there, it is easily the best investment you can make. The amount of opportunities that become available to you in business, public relations, marketing, start-ups and the media, among much else, increases vastly. Learn Spanish, Brazilian Portuguese, Russian, Arabic or Chinese and you will be especially in demand. For a freelance foreign correspondent, it presents a particular opportunity. 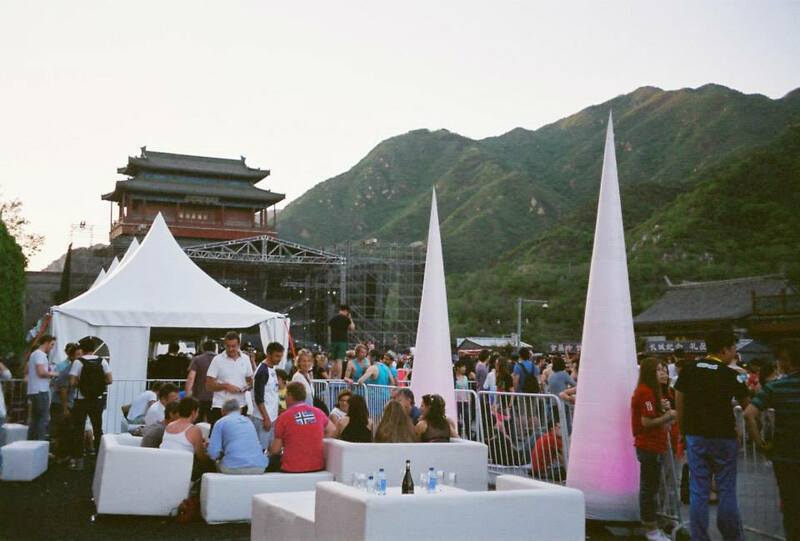 The Great Wall Music Festival, near Beijing. May 2013.